What other plant can you think of that is as symbolic to the month of February and love as the rose? Beautiful bouquets of roses, rose petals, rose essential oil, rose hips, the possibilities for using this beautiful flower are endless. 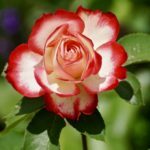 In our Rose plant profile below, you’ll learn about the many benefits this beautiful plant has to offer! How to maintain and care for Roses in your garden. The best growing conditions for your Roses. The history of Roses and its association with the love. 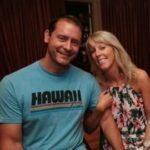 Fun facts and so much more. 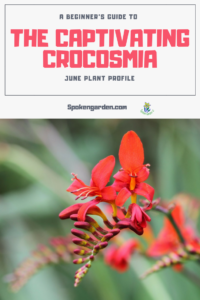 By the way, our plant profile is meant for anyone who wants to learn more about this plant. We hope you enjoy it! In a hurry? Pin it for later!! First, roses are a classic garden flower coming in numerous shapes, sizes, and colors. 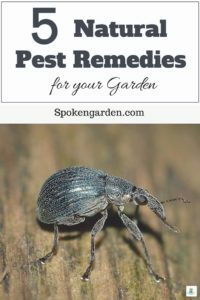 In addition, these garden plants are fairly easy to maintain, depending on your expertise level. 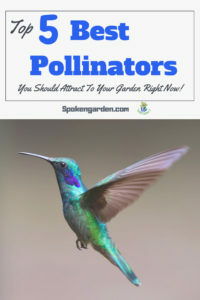 Their vibrant colors can last a good length of time if watered and cared for properly. They prefer full sun to partial shade and need a bit of fertilizer to stay tough. 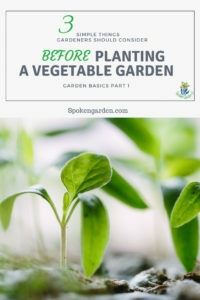 Their maintenance needs are perfect for everyone from a beginning gardener just learning to more advanced gardeners who want to grow specialized cultivars. Finally, we’re featuring the Rose because of its interesting history and symbolic references. Native to Asia, their roots can be traced back to Ancient Chinese culture. Roses are in the Rosaceae plant family. This family group includes more than 2,500 species of herbs, shrubs, and trees. The family is mostly known as high in commercial value worldwide. Most members of the family are woody perennials with leaves that alternate and flowers that are cup-shaped with five sepals. Important family members include strawberry, blackberry, apples, cherries, almonds, and Mountain Ash to name a few. Roses have a long, interesting history going back over 35 million years according to fossil evidence! Literature is filled with references to roses including Christian, Confucian, and Buddhist religions. Documents can show that many early civilizations including Egyptians, Chinese, Greeks, Romans, and Phoenicians all knew the rose and even extensively cultivated them as early as 5,000 years ago. Research indicates that Roses were first cultivated in China over 5,000 years ago where they were used in Chinese traditional medicine. There are numerous references to roses throughout the Roman Era, mostly grown in the Middle East. Roses were used as confetti, as medicine, and as a perfume. Highly prized in Roman society for their beauty, roses were grown and displayed in public rose gardens. Symbolically, they were associated with Aphrodite. Did you know that we celebrate Valentine’s Day on February 14 because in the 3rd century AD, St. Valentine was executed on that day for performing secret marriages? Or, at least that is one theory. Other theories reference multiple priests, all named Valentine, all meeting their demise on February 14th. Whatever the true story, that’s a pretty grisly history for a holiday full of love and beauty. Between the 15th and 17th Centuries, Roses evolved symbolically. Initially, they were regarded as symbols for warring groups in England (“The War of the Roses“). Later, they were highly regarded in society and valued by the royals. They were even used as payment or currency! By the 18th Century, cultivated roses showed up in Europe and eventually on to America. Numerous cultivars were bred and sold as roses became a highly symbolic cut flower. Eventually, roses began to gain prominence for their medicinal and fragrant value as well. Rose hips, which are a great source of vitamin C, and rose oil, for perfumes, began to grace the world. 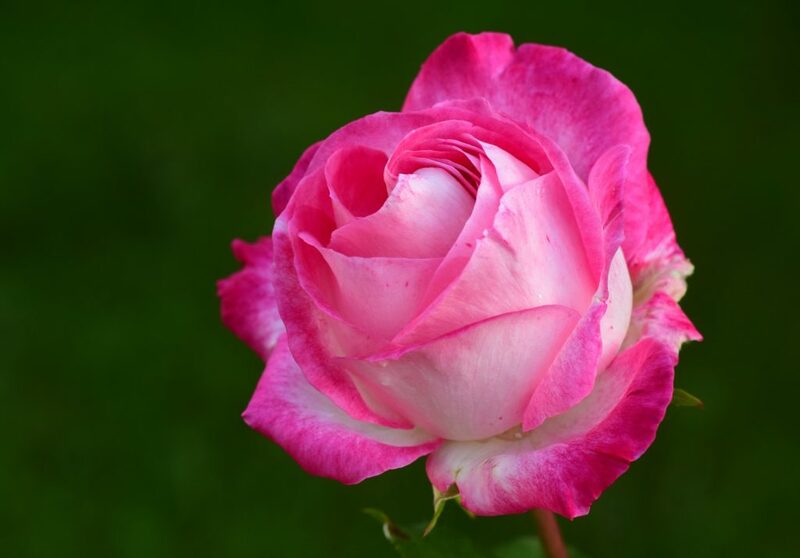 Today, the rose, as well as the whole Rosaceae family, remain an important economic commodity around the world. Whether sold for their fruit, as cut flowers, medicine, or ornamental trees and shrubs, the rose is still valued in society for its many uses. Roses are native to Asia but can be grown almost anywhere today. First cultivated in China, they traveled through history from the Roman Era to 15th Century England and eventually America as stated above. Now that you’ve caught up on a brief history, let’s move on to the common characteristics of Roses. Hey, have you listened to our podcast yet? Check it out! Types Generally there are 3 groups: Wild Roses, Old Roses, and Modern Roses. - Modern Roses fall into these categories: Shrubs, Ground Covers, Climbers, Hybrid Teas, Grandifloras, Floribundas, Polyanthas, and Miniatures. Zones -Sunset= Most zones with some exceptions. -USDA= Most zones; check each species. General Information Information varies with type of rose and species. Native Environment Depends on the species, different species can be native from Alaska to Mexico, and Northern Africa. Water Needs Mostly moderate or regular. Mature Height/Width Depends on the type of rose. Click here for types of roses. Bloom Time Depends on species. Can bloom for two weeks or for a whole season. Flower Colors All Colors, except Blue and Black. You can find their color meaning here! Number of Varieties Over 14,000. Wow. Sun Exposure Full sun or light shade. Fertilize? Yes. 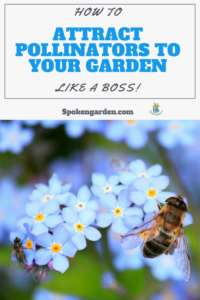 Most species need multiple fertilizings in 3 or so week intervals with a balanced fertilizer (ie: 16-16-16), but a few that only flower once a year will need one fertilizing as growth begins and then another fertilizing after blooming ends. Plant Spacing Can plant as a single plant, in rows, in groups, close into hedges, or for edging. Each species is different. Maintenance Level -Moderate with yearly pruning or more depending on the type of rose and/or desired shape. - Make sure to keep good air circulation in the canopy. -Pruning can be in during dormant season or in early spring. 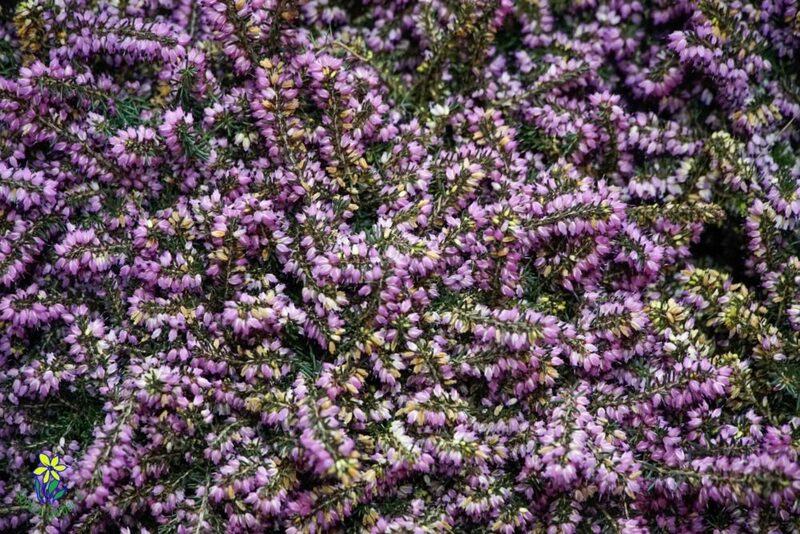 -You can remove up to two-thirds of last year's growth, but generally should only be pruned lightly. Pest Susceptibility -Aphids, mites Japanese beetles, black-spot, powdery mildew and rust. 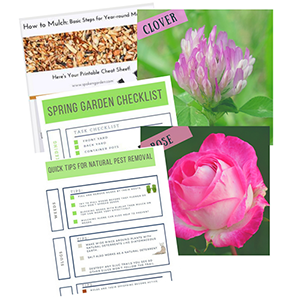 - Under the correct conditions, any of these pests or diseases can attack roses. Poisonous to Pets? No, but ingesting any part of leaves or stems can cause upset stomach. - Three rose-hips contain the same amount of Vitamin-C as from one orange. Eden Climber Reblooming Rose Bush. Betty-Boop Fragrant Rebloomer Rose Bush. Tequila Supreme Rose Bush – Flowers all summer! Anna’s Promise Rose Bush – Downton Abbey Series – Fragrant Salmon Flowers with Copper Overtones. Along with being a beautiful flower symbolizing love, the rose can also describe a color, a first name, and represent rights’ of passage in different ceremonies or traditions. Not to mention this plant’s rich history and age-old symbolism. Roses have become integrated into our whole Western culture. With a moderate amount of maintenance necessary, you too can get out there and “smell the roses.” Never hesitate to offer this delicate symbol of love to those friends, family, and loved ones in your life. They are for the iconic love flower. With all their different meanings and uses, Roses seem poised to continue transcending human culture. 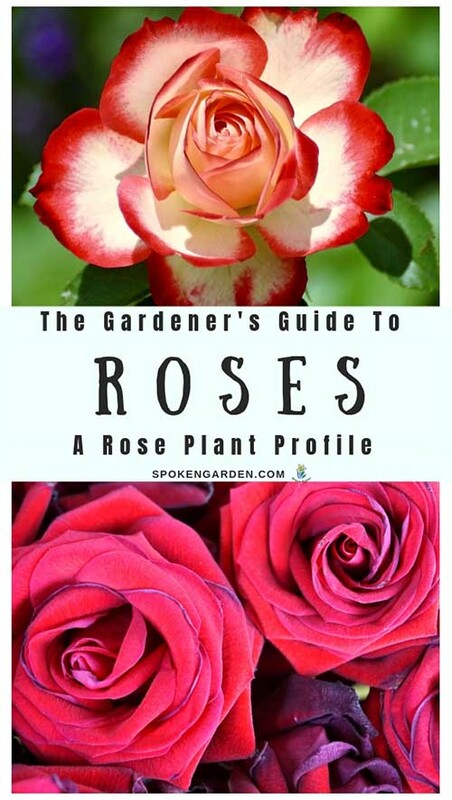 Click the graphic above to save Spoken Garden’s “Rose Plant Profile” to Pinterest for later!